Block 22 Management Group owns and operates the 5,400 seat CenturyLink® Arena in downtown Boise. Attached to The Grove Hotel, CenturyLink Arena plays host to numerous events and activities each year and is among the premier entertainment and event venues in the Pacific Northwest. CenturyLink Arena features 22,000 square feet of indoor entertainment and event space, and while it primarily is the home of the ECHL Idaho Steelheads Hockey Club, the arena’s mixed use also plays host to a wide range of activities that include the annual El Korah Shrine Circus, Bodybuilding.com product expo, flower shows, awards ceremonies, and a bustling schedule of musical and performance arts activities. The Idaho Steelheads play at CenturyLink Arena, located in downtown Boise, Idaho. With two Kelly Cup championships, three Western Conference titles, twenty players advancing to the NHL and an average of 41 wins per season in the ECHL era, the Steelheads have been an ECHL powerhouse since 1996. 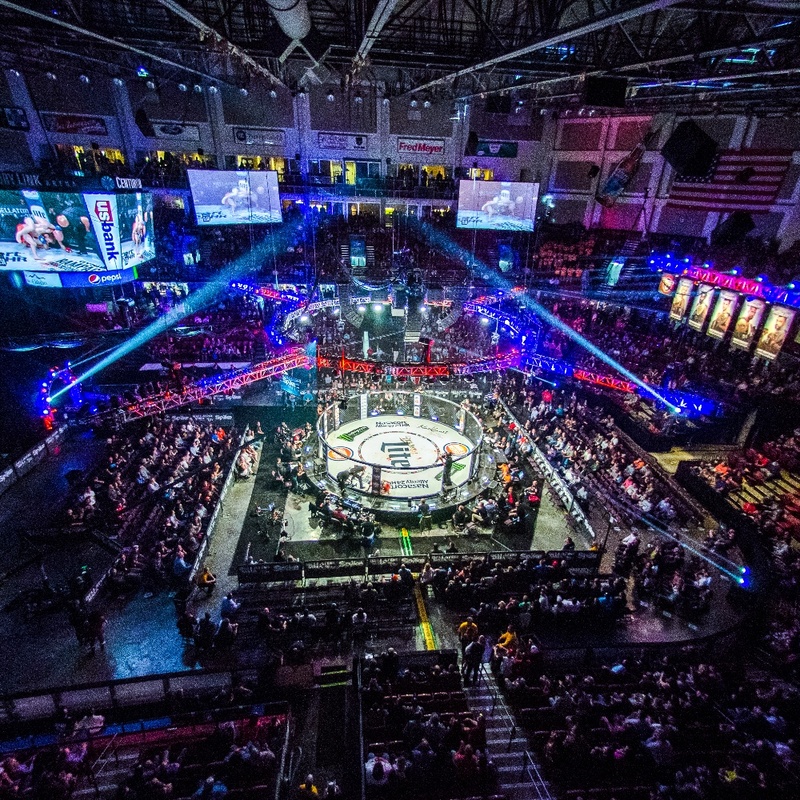 Front Street Fights bring mixed martial-arts (MMA) action to fans throughout the Treasure Valley, in downtown Boise’s CenturyLink Arena™. For a current lineup and more information about upcoming events, visit the Front Street Fights here.